We don't need to buy it at a restaurant or other eating places. Because, we can make it ourselves at home, and we can adjust it according to our tastes. Cut the cucumbers down the center length shrewd. Utilizing a spoon, delicately rub out the inner parts. Dispose of (or compost!) the scooped seeds and put the rest of the cucumber aside. Add the fish to an expansive bowl. Utilizing a fork, delicately pound the fish until it is chipped. 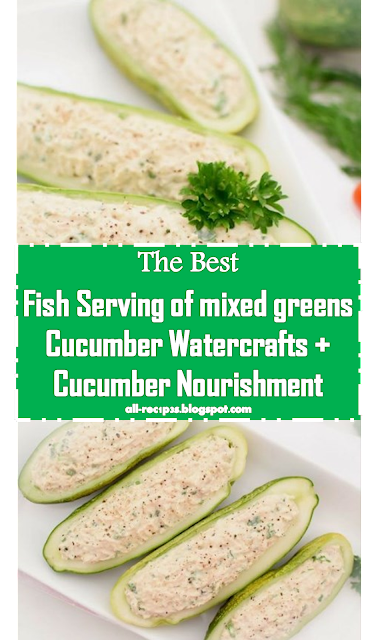 Include the celery, onion, Greek yogurt, mayo, mustard, salt and pepper (and crisp herbs in the event that you intend to utilize any). Crush the majority of the fixings together with a fork until everything is blended well. 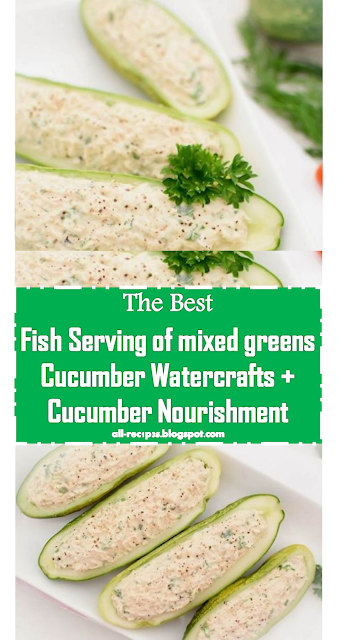 Scoop your new fish serving of mixed greens blend in every cucumber half.